BBL uses a broad spectrum of light to heat the hair follicles to therapeutic temperatures for safe and effective hair removal*. 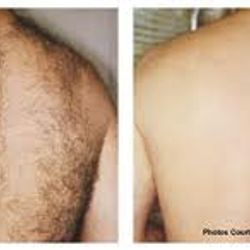 BBL hair removal is not only fast, but safe and comfortable as well. During the treatment, your skin will be protected with a cold sapphire crystal so that only your hair follicles are heated, and not your skin. With laser hair removal small bursts of light energy are delivered into the skin and absorbed by the hair follicles. This disables the hair follicle and prevents it from growing hair again. Most areas require 3-5 treatments applied at 5-8 week intervals to achieve optimal benefit. You can expect a 20% reduction with each treatment. Hair grows in three stages: anagen, catagen, and telogen. Hair removal technologies can only treat hairs in the anagen phase, also known as the active growth phase. Since not all hairs are in the same growth stage at the same time, multiple treatments are necessary to target all hairs in the treatment site. Treatment time will vary depending upon the size of the area treated and your hair and skin type. 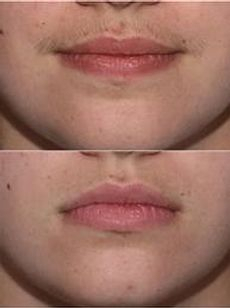 An upper lip can be done in about one minuet, a bikini or underarm can be done in less than 10, and larger areas, such as legs or back, can be done in 30 minuets or less. Hair removal is a non-invasive, gentle procedure with virtually no downtime. You may experience some redness that should go away within a few hours. A few days to a week after a treatment you may experience what seems to be regrowth of har. Most of these hairs are being shed as a result of your BBL treatment and are not growing. Results are immediate, consisting of hair reduction and thinning. My dark hair grew thick and fast on my underarms. Shaving every day caused a lot of irritation. I dreaded it. I don't have to worry about shaving and no longer have to deal with red, irritated and bumpy skin under my arms.